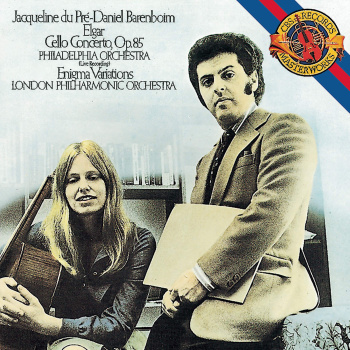 The friendship between Jacqueline du Pré and Charles Beare dated from 1963, when both were beginning to make their mark in the music world – Beare as a leading expert on antique violins and du Pré as one of the finest English cellists of her generation. 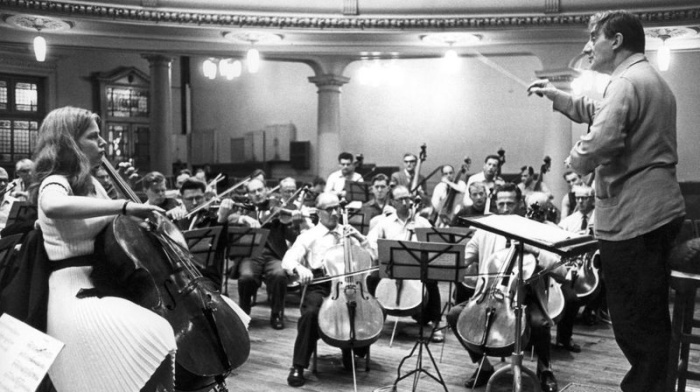 So the ‘Davidoff’ was bought for du Pré, who a few months afterwards used it for her classic Elgar Cello Concerto recording of 1965 with Sir John Barbirolli and the London Symphony Orchestra. 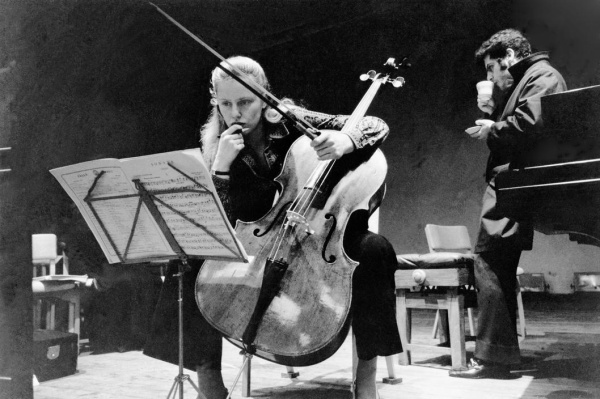 Then one morning in the summer of 1967 du Pré rang up fresh from an overseas trip to ask if she could borrow another cello to take to Milan that afternoon. “She said, ‘I’ve only just got back with the ‘Davidoff’ and it’s not functioning properly.’ So we lent her a Francesco Goffriller and she came back and said ‘I love it! It’s not the ‘Davidoff’ sound with all its colors but it takes the pressure and it’s survived a tough trip.” She continued to borrow it and a few years later asked to buy it. This was the situation when the couple met the Italian maker Sergio Peresson, who offered to make du Pré a cello. 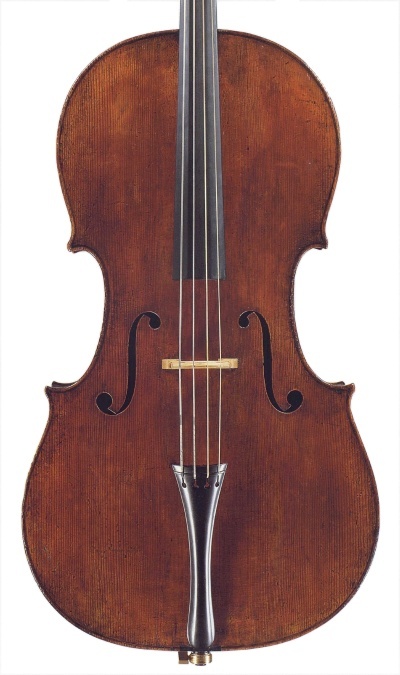 Dated 1970, this cello became her chief concert instrument until her career was cut short by multiple sclerosis in 1973. Beare also looked after du Pré’s bows. “She used to come back from her trips with about a tenth of the bow hairs still left,” he remembers. She preferred strong, heavy bows and used a John Dodd weighing around 90 grams. This lasted until one time when her mother brought it to the Beare shop for a rehair and the car door blew shut on it, breaking it beyond repair. Beare then lent her a Louis Panormo bow, which turned out to be an ideal replacement.